The newest optional feature for the Kaye Posture Control Walkers is the Add-A-Seat. 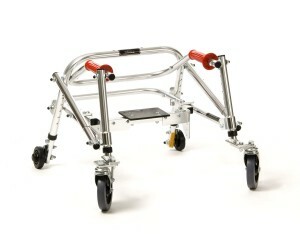 These seats can be added to the Kaye Posture Control Walkers with any wheel configuration. These seats retrofit any “B” or “C” frame walker, sizes 2-5. (Sizes 1/2 and 1 are already available with or without seats). Adding a seat provides a resting place for children and young adults who prefer the “B” or “C” frame walker style but still want a seat. These seats fold up for walking and down for sitting. 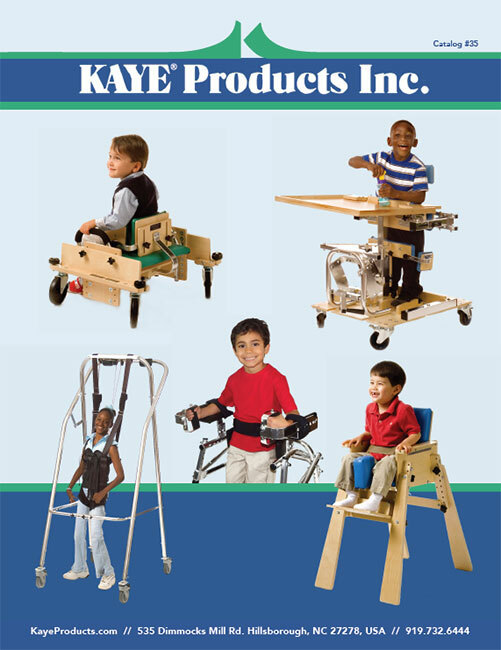 Kaye Posture Control walkers fold for transportation and storage when Add-A-Seat is in place. The popular Add-A-Seat is now available to fit the two smallest sizes of the Kaye Posture Control Walkers. 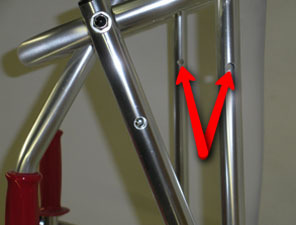 The seat can be added to the size 1/2 and 1 “B” frame Posture Control Walkers. The seats fold up for walking and down for sitting, perfect for children with poor endurance, or who are exposed to environments that require frequent transitions between standing, walking and sitting. 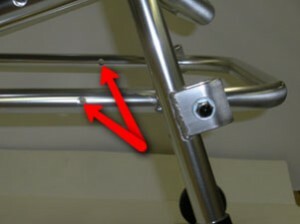 To ensure that your walker can accommodate an Add-A-Seat, please make sure that it has two holes through the back crossbar as shown below.